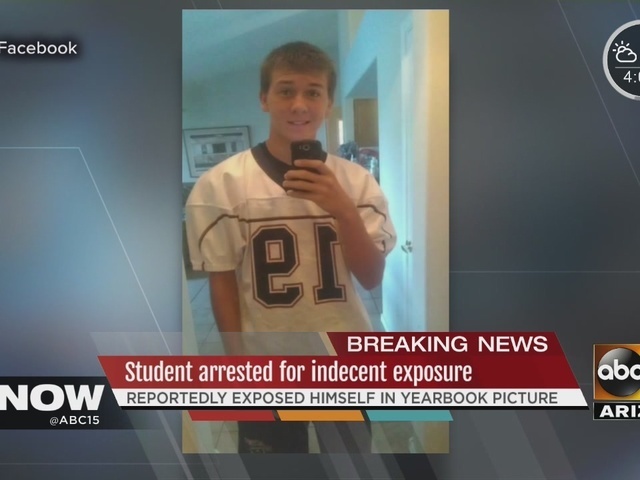 A damning dare that made its way into the school yearbook has landed one student-athlete behind bars and facing dozens of counts of indecent exposure. 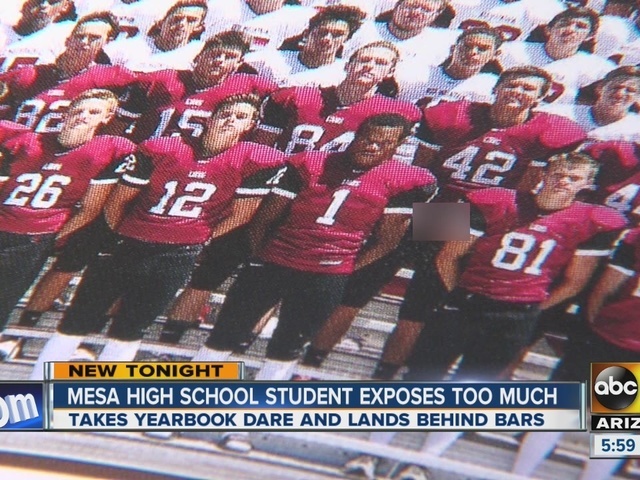 Police say Hunter Osborn, 19, a football player at Red Mountain High School in Mesa, exposed himself during a team picture that went unnoticed by school officials until it was printed in the school yearbook and distributed to the school. The picture was also printed in the football program and sold at games to students and families, according to court paperwork. 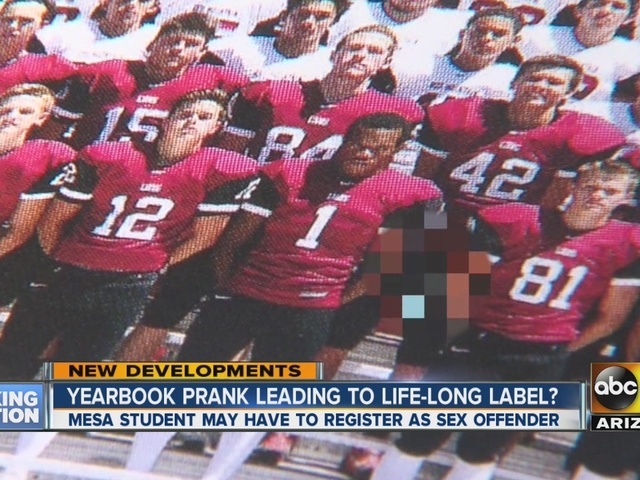 Only 250 students received the Red Mountain HS yearbook before the picture of student exposing himself was discovered. 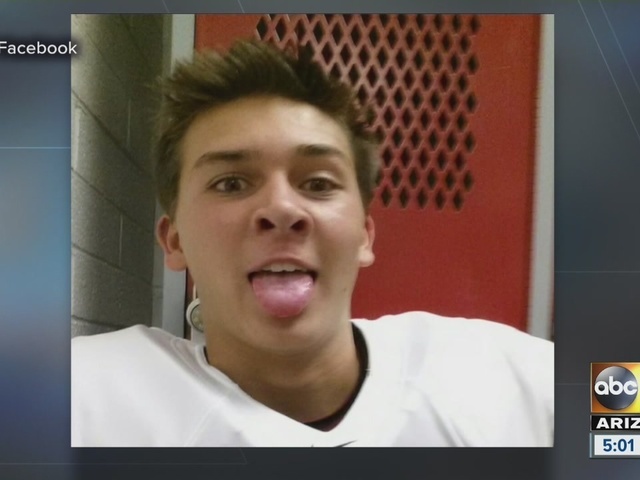 Osborn told police that he was 18 when the photo was taken and that "he was dared by a football teammate," according to Steve Berry, spokesman for Mesa Police Department. Osborn was booked into jail Saturday on 69 counts of indecent exposure, a class 1 misdemeanor, and one count of furnishing harmful items to minors, a class 4 felony. He was subsequently released and ordered to wear an electronic monitor. He admitted to exposing himself in the photo and told detectives that he was "disgusted" for what he had done, according to court documents. In a statement, the district said it was "dismayed" by the student's actions and that it had recalled the yearbook to make a "minor, but critical edit." "The district is dismayed by the actions of the students involved in the photograph. Their behavior does not reflect the values of Red Mountain High School or Mesa Public Schools. While the small size of the photograph as published makes the details difficult to discern, the yearbook has been recalled so the school can make a minor but critical edit for the inappropriate content."